Lucy joined Watsi on January 23rd, 2015. 13 other people also joined Watsi on that day! Lucy's most recent donation traveled 8,300 miles to support Agga, a man from Burma, to fund heart surgery. Lucy has funded healthcare for 109 patients in 14 countries. 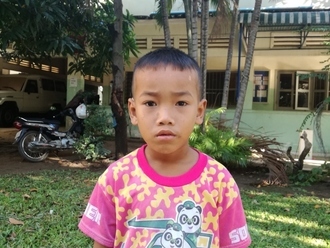 Srey Na is a girl from Cambodia. She likes to play with other kids, paint, and watch TV. She is the second of two children. 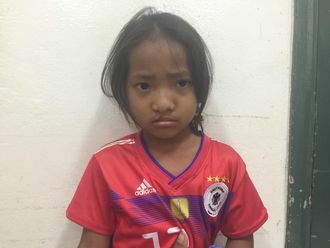 Srey Na is undergoing surgery to relieve pressure in her ear drum, which has caused her hearing loss and chronic nose infections. She and her family traveled for six hours to reach our medical partner's care center. The procedure is scheduled for January 22 and will cost $127. Her mother says, "I hope that this procedure will make me worry less and improve her hearing." Akankwasa is a farmer from Uganda. She is a mother of seven children. For four years, Akankwasa has had an epigastric hernia. If not treated, the hernia may result to intestinal tissue damage and death. 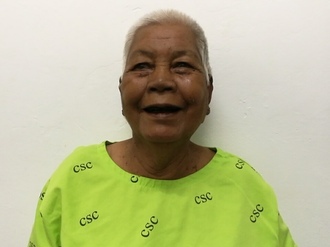 Fortunately, on January 16, she will undergo hernia repair surgery at our medical partner's care center. Our medical partner, African Mission Healthcare Foundation, is requesting $249 to fund Akankwasa's surgery. Once completed, this procedure will hopefully allow her to live more comfortably and confidently. She says, "After surgery I will have peace of mind and resume working in my fields." Sopheap is a fish vendor from Cambodia. She has five sons, two daughters, and eight grandchildren. She likes to chat with her neighbors when not working. 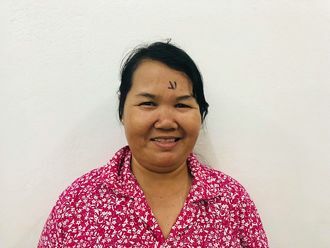 Three years ago, Sopheap developed a pterygium in both eyes, causing her blurry vision, tearing, and irritation. Pterygiums are non-cancerous growths of the conjunctiva, a mucous layer that lubricates the eye. The growths occur when the conjunctiva is exposed to excessive sun damage and the cells grow abnormally over the pupil. She has difficulty seeing things clearly, recognizing faces, working, and going anywhere outside. 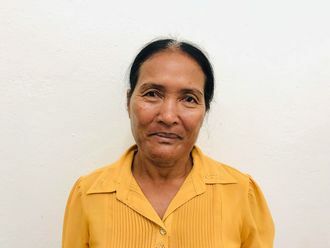 When Sopheap learned about our medical partner, Children's Surgical Centre, she traveled for two hours seeking treatment. Sopheap needs a surgical procedure to remove the abnormal conjunctiva from the cornea surface and replace it with a conjunctival graft to prevent recurrence. The total cost of her procedure is $201. This covers medications, supplies, and inpatient care for two days. The procedure is scheduled for November 12. She says, "I hope my eye surgery is successful so I can continue my business selling fish and I can ride my bike." Sinat is a mango farmer from Cambodia. She has two daughters, one son, and one grandchild. She likes to watch Thai dramas on TV. Two years ago, Sinat developed entropion. This means that her eyelids turn inward, causing her eyelashes to scrape the surface of her eyes. It is difficult for her to open her eyelids. She experiences blurred vision, irritation, tearing, and itchiness of the eyelids. Sinat traveled to our medical partner's care center to receive treatment. On November 1, surgeons at our medical partner, Children's Surgical Centre (CSC), will perform a corrective procedure to repair her eyelids. Now, Sinat needs help to raise $212 to fund this procedure. She says, "I hope my surgery is a success so I can return home and feel more comfortable."